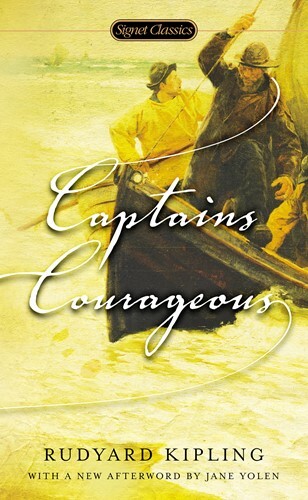 One of Rudyard Kipling's most enduringly popular works, Captains Courageous is both a stirring tale of the sea and a classic coming-of-age story. Harvey Cheyne, the pampered fifteen-year-old son of an American millionaire, is sailing to Europe when he falls overboard. Saved from drowning by a New England fishing schooner, he finds his rough new companions unimpressed by his wealth and shocked by his ignorance. He will have to prove his worth in the only way the captain and crew will accept: through the slow and arduous mastery of skills upon which their common survival depends. With an Introduction by Marilyn Sides and an Afterword by Jane Yolen From the Paperback edition.